What do you think are the best locks for a front door? All locks for the front door are not the same. Likewise, all lock makers for front door locks are not the same. Before you get to the stage of comparing makers you need to do some more basic analysis to determine what lock is best for your front door. This is important in choosing a lock. Some metals will react with lock metals and produce corrosion. This corrosion makes the lock and the door deteriorate faster than they usually would. That can make it easier for thieves to break in. The age of a wood door is also important in picking a lock. Older wood will not support heavier locks. A very heavy lock might help a thief instead of protect your home from a thief. Front door locks have gotten high tech. Keyless locks that have a numerical entry code pad, smart phone controlled locks, and voice controlled locks are the three most popular types of front door locks. The advantages are higher levels of security. The lock cannot be outsmarted when there is an infinite number of codes that can be entered and a warning that gets sent to your phone or the police if entry attempts are greater than a preset number. No thief can possibly imitate a voice that they never heard. Some disadvantages include light weight construction and the lack of a key entry in case of failure or loss of power. Older people and children are prone to forget codes. Some models can be outwitted electronically or forced to open physically. How the front door lock looks makes an impression about you and your home. There are thousands of locks to select from. The idea is to pick the front door lock that makes the existing door look the best. You save money because you do not have to buy a door or paint a door. You can add a bit of sales value to your home if you are planning to sell with a new front door lock and cover the cost in the asking price. 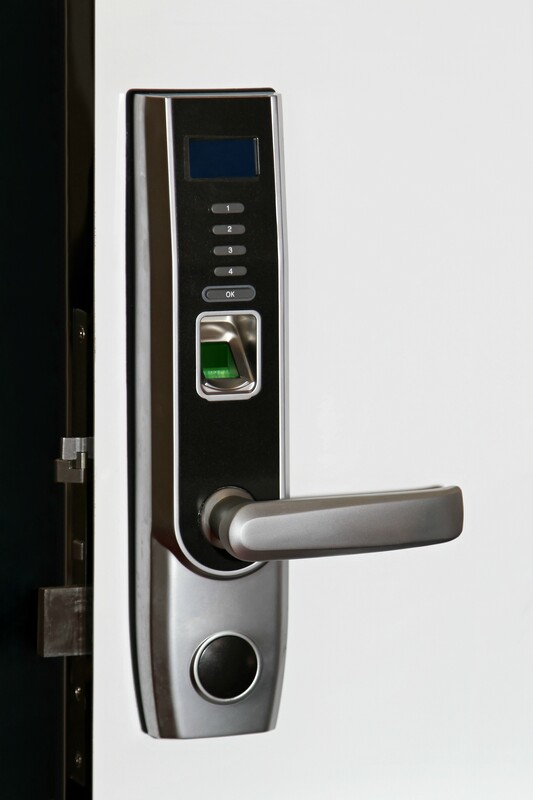 There are two physical parts of a front door lock that are the keys to security and longevity. These are the length of the screws and the type of bolt. Longer screws are better in general. Longer screws keep the lock in place and prevent theft. It takes an expert thief a long time to remove a long screw. The thief would rather go on to easier pickings than risk getting caught. The type of bolt depends on the door type. Longer bolts help prevent theft. These are the things that you should consider before you go shopping for front door locks. You can save yourself some time and money by planning. What do you think are the best locks for a front door? http://killeentxlocksmith.com/think-best-locks-front-door/ 4.0/5 based upon 27 reviews.